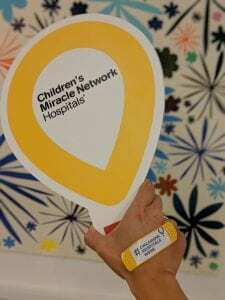 We <3 Children’s Hospitals Week! This week reminds us of the critical role children’s hospitals play in our communities. Some of the special groups who help Kapi‘olani Medical Center for Women & Children do what we do are our corporate partners. We have many dedicated partners such as Panda Restaurants, Costco Wholesale, Walmart, Marriott Vacations Worldwide, Credit Unions for Kids and more that participate in fundraising campaigns to benefit Hawai‘i’s only Children’s Miracle Network Hospital. Show your support this week by wearing a bandage, taking a photo and posting it using the #ChildrensHospitalsWeek and #Give2Kapiolani hashtags. If you want to support by making a gift, visit: https://giving.hawaiipacifichealth.org/make-a-gift/kapiolani-childrens-hospitals-week/ Mahalo on behalf of Kapi‘olani’s keiki!